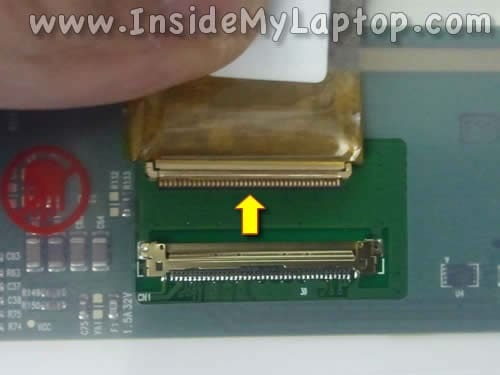 In this guide I show how to remove and replace the LCD screen on a Dell Inspiron N4010 laptop. In my case it got cracked. 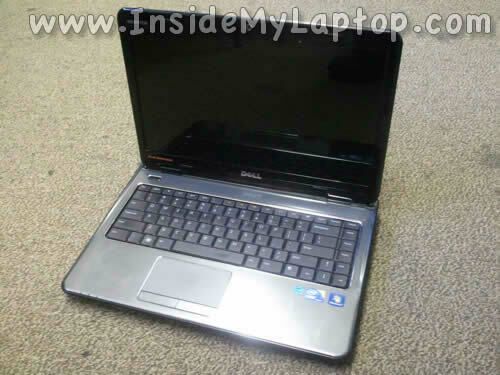 By the way, this is my second guide for Dell Inspiron N4010 model. At the end of this post you’ll find a link to second guide. Make sure the computer is turned off and battery removed before following the disassembly instructions. I’ll be using the guitar pick to remove the display bezel. Insert the guitar pick between the bezel and back cover and separate the bezel from the cover. 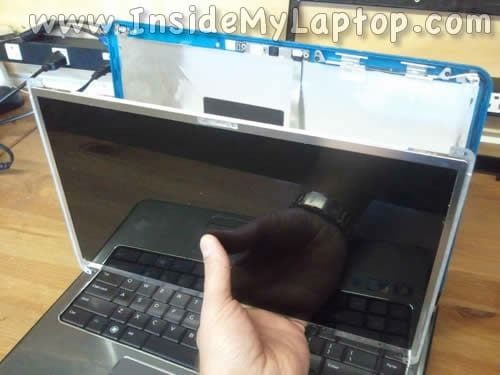 This will allow you to insert your fingers under the bezel. 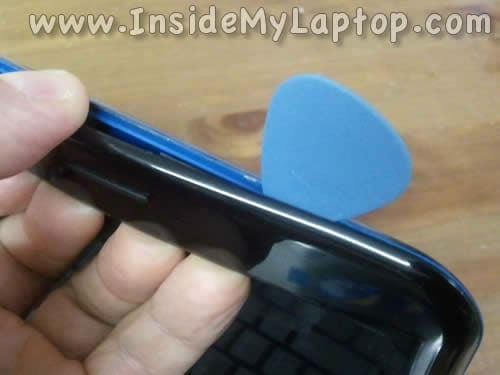 Continue removing the bezel using your finger and guitar pick at the same time. 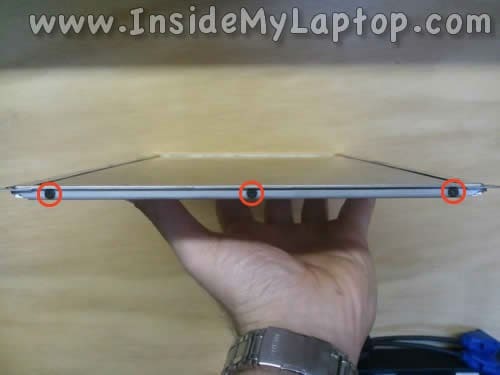 You’ll have to wiggle the bezel in order to release hidden latches. Continue removing the bezel on the top and both sides of the display assembly. Now you can continue removing the bezel on the bottom side of the display assembly. 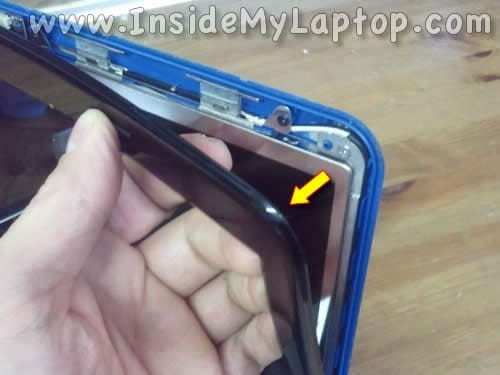 The LCD assembly secured to the display back cover with six screws. Separate the LCD assembly from the display back cover and place it the front side down on the palmrest/keyboard assembly. NOTE: if the webcamera cable glued to the back cover, carefully unglue it from the cover. The video cable secured by sticky tape to connector. Carefully unglue the sticky tape. 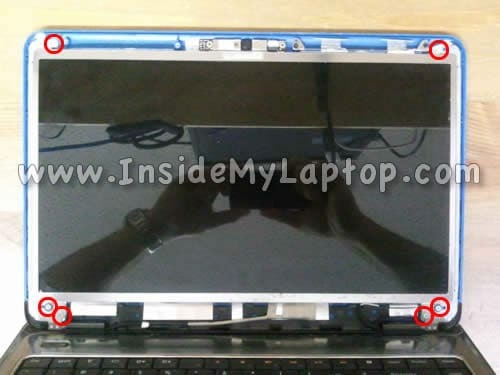 Now you can remove and replace the LCD screen with a new one. 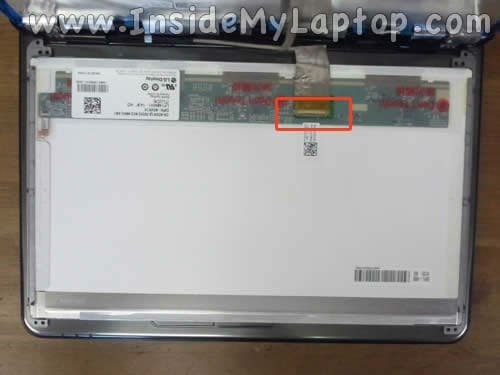 You can search for a new replacement LCD screen using the model number printed on the back of the original one. 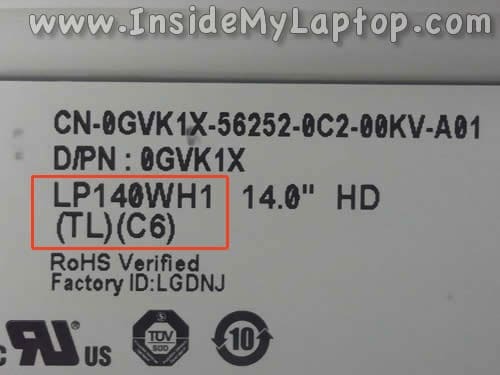 In my Dell Inspiron n4010 I had the following LCD installed: LP140WH1 (TL)(C6). During the replacement process you’ll have to transfer left and right mounting brackets from the older screen to the new one. Each bracket secured by three screws. Remove all screws, separate the bracket and transfer it. Assemble the display following all disassembly steps in the reverse order. In the first guide I explained how to disassemble the body. I have a year old Dell laptop, and recently the graphics on the screen started slowly dimming, and then disappearing. Further the laptop starting failing to start, when I press the “on” button, and sometimes I would have to re-boot it more than 10 times, before starting. Finally, it all together stopped working, and only a blank (white) screen appears. The fan works OK however. Recently I was able to retrieve all the files in the hard disk, so I assume that the hard disc is fine. Is it possible to diagnose the problem form the information provided? It’s hard to tell what’s going on but here’s what you can try. 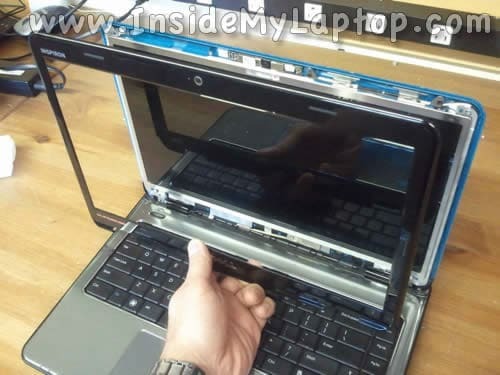 You can disconnect the video cable from the LCD screen and test the laptop with an external monitor connected to the VGA port on the laptop. 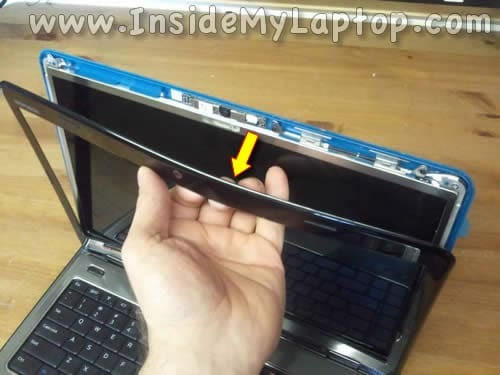 If the laptop works fine with the external monitor, most likely the laptop LCD screen failed (or the video cable failed). I suspect the screen failure. 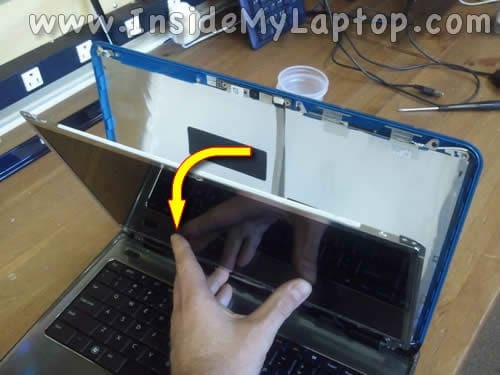 I would try replacing the screen first. It shouldn’t be very expensive. If the laptop doesn’t work with the external monitor, most likely this is motherboard failure.